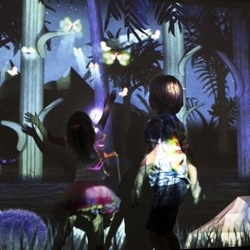 Night Bright by Design I/O is an interactive installation of nocturnal discovery where children use their bodies to light up the nighttime forest and discover the creatures that inhabit it. 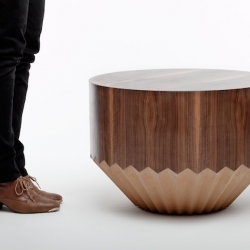 'Wryneck' table by Léa Padovani & Sébastien Kieffer, the POOL design duo. This small coffee table seems to have been eaten by a beaver. 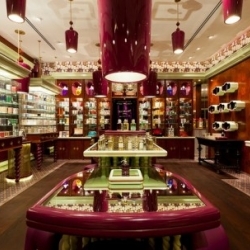 London based design practice, Jenner Studio has recently completed this interior design project; a new boutique in Singapore for the British fragrance house, Penhaligon’s. 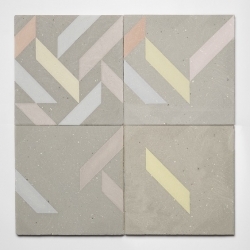 'Playtime' concrete tiles for indoor and outdoor use by young designer Xiral Segard. FEATUREDDancing spiders, carved tires and an encounter with zero gravity are all part of this week at NOTCOT.org. 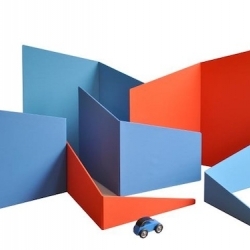 'Libero' is a children hut and maze by Jean-Sébastien Poncet for Edition Sous Etiquette. How Not To Be A Tourist. 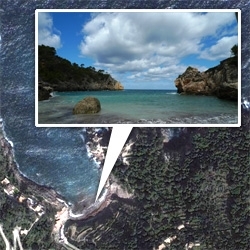 An online street smart guide aims to rid the world of tourists - looking like tourists. One fanny pack at a time. 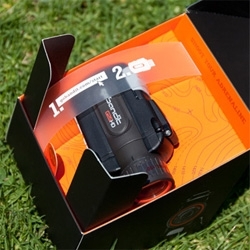 FEATUREDUnboxing the GoBandit HD Action Camera ~ a look at the packaging, hardware, and software overlays that allow you to visualize location, speed, and altitude throughout the videos. 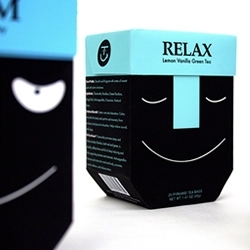 Packaging design created by Jaeyoung Ha for tea bags T-Cup. A package that tries to tell visually the emotion you feel sipping the different qualities of tea. 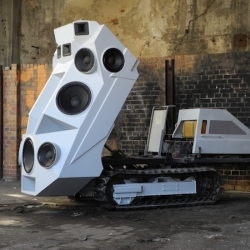 Artist Nik Nowak came up with the 'Panzer' Soundtank, a 11-speaker monstrosity mounted on a flatbed. 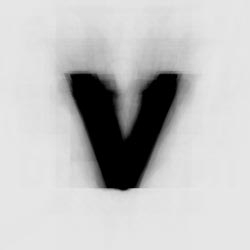 Ever wondered what an 'Average Font' would look like? This is a font consisting of over 900 different typefaces. 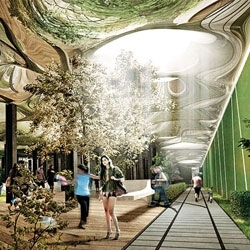 In answer to the High Line, here is the proposed 'Low Line', an underground park planned for an abandoned trolley terminal on the Lower East Side! 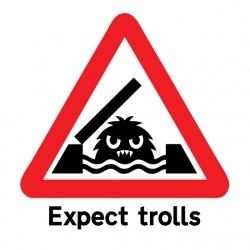 Blueprint asked some designers, artists and architects to reinterpret the British road sign. Here are the results. 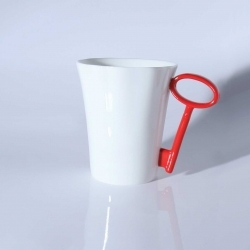 This collection of perfectly proportioned mugs has a distinctive key shaped handle: Easy to hold, great to look at and with a spectrum of colored handles. 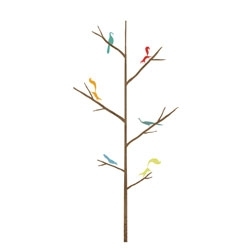 By Gary Birks, launching at 100% design this week. 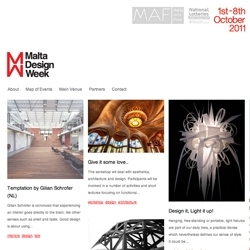 Malta Design Week is Malta's first design week held on the island of Malta, Oct 1-8. A number of artists, creatives, architects and more taking part in a series of events, talks and workshops. 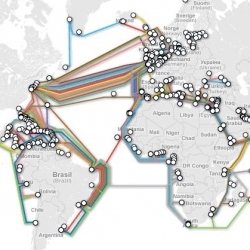 A global map of the world's submarine cables. Undersea cables make the Internet global, the most sophisticated ones capable of transmitting nearly 10 terabits of data per sec, compressed through a handful of fiber-optic strands. 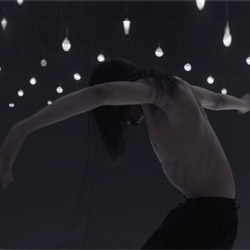 VIDEOTokyo caught in slow motion by Alex Lee. HI-MACS House in Bavaria, Germany, is a collaboration between architectural studios Karl Dreer and Bembé Dellinger Architects. 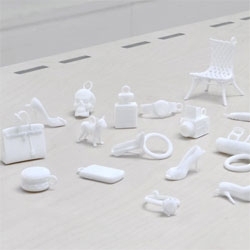 Vanity Charles by Minale-Maeda are rapid prototyped pendants. 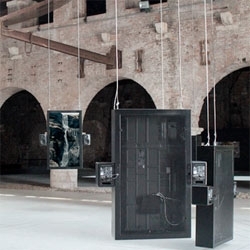 VIDEOOctfalls installation by Ryoichi Kurokawa. One of a thousand ways to defeat entropy. 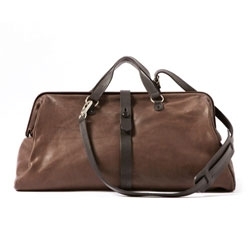 The converse sak pro leather bag, a leather doctors bag from Converse First String in collaboration with designer Ryusaku Hiruma. A work of craft art by Rafael Fagulha. 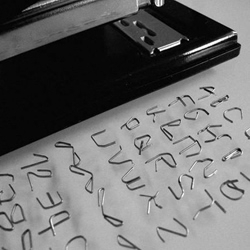 Bent paper clips, staples handworked to form a true family of characters with their own style and identity. 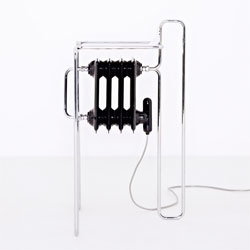 Bas van Vraay of Atelier Vraay's Hybrid Barstool, part of his solo exhibition at Berlin's Schuessler Gallery. 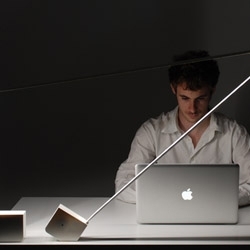 Shape Is Use (SIU) is an extremely compact system that unfolds to provide light, and only the amount of light needed, best suited and required by the user. By Quentin Vaulot. 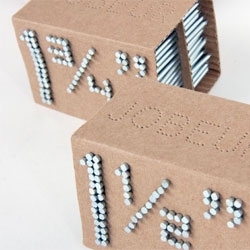 Conceptual nail packaging by Pier-Philippe Rioux. 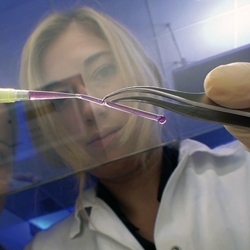 3D printed blood vessels have recently been created at the Fraunhofer Institute in Germany. There, researchers use rapid prototyping techniques for making organic biomaterials. Today, on Forge de Laguiole's initiative, the French actor Alain Delon meets Ora-Ito: one of the most brilliant designers of his generation. 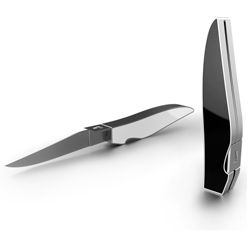 From this meeting, a unique knife is born, 'le Samouraï'. 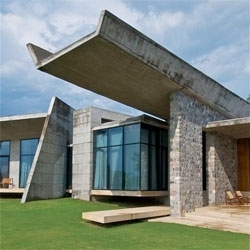 The Rishikesh House by Rajiv Saini + Associates. 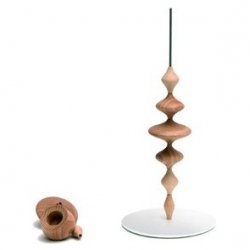 "Les Perles" is a modular candleholder designed by FX Ballery, on which small pieces of wood can be slipped over a metal rod. 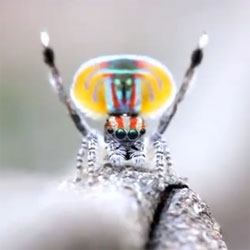 VIDEOExtraordinary footage of the courtship of the peacock jumping spider in Australia. 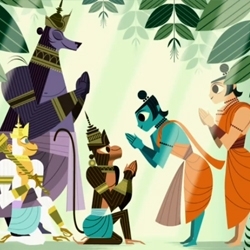 Beautiful illustration by Dadu Shin. VIDEOA documentary about the island of Texel, its eccentric inhabitants and the strange things that wash up on its shores. 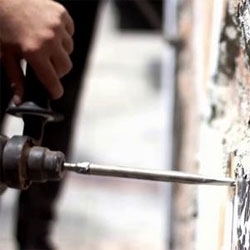 VIDEOArrested Motion filmmaker Carlos Gonzalez follows Portuguese-born artist Vhils as he completes his latest work on the streets of Venice, California. 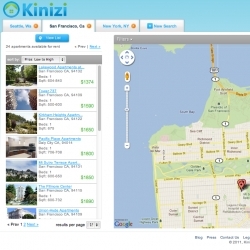 Kinizi is a mashup of Hipmunk/Google Maps/Craigslist+Top 5 Rental Listing websites. 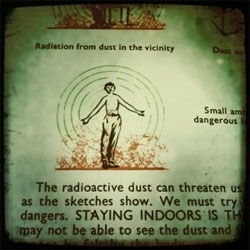 Booklet from Irish Civil Defence on 'Survival in a Nuclear War' with advice on 'Protection in the Home and on the Farm'! Some real gems in there and the illustrations alone are something to behold. 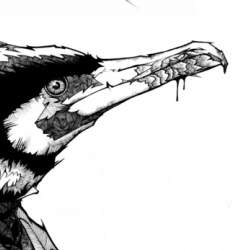 Great drawings by Andreas Preis, made with some fineliners, markers, pencils and some brushes. 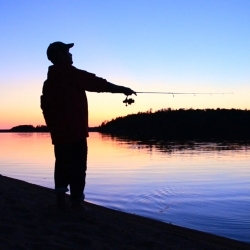 VIDEOStunning video showcasing the Boundary Waters Canoe Area Wilderness on the border of Minnesota and Canada by Carl Martin. Nicole Meyer is branding 10,000 lakes. 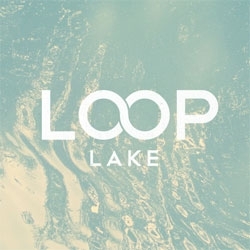 One Minnesota Lake. 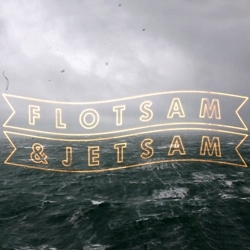 One Logo. Every day. The project will take about 27 years. Talk about dedication! 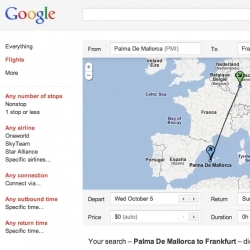 VIDEOGoogle Flight search is a feature that helps you explore air travel options for a number of cities, and plan your trip with just a few clicks of the mouse. 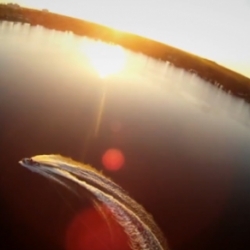 VIDEOA Film dedicated to wakeskating dedicated to filming. Featuring Reed Hansen, Grant Roberts, Matt Manzari, Chris Kallas, Dieter Humpsch, Brian Grubb, Nick Taylor, Brandon Thomas and more.. 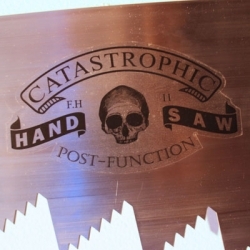 Catastrophic; Hand Saw, a new object by Faisal Habibi. 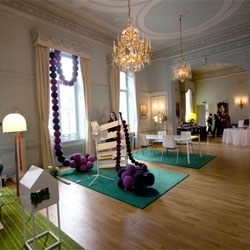 FEATUREDA stunning showcase of Swedish Design, Hemma, which means ‘home’ in Swedish, is one of two exhibitions of Swedish Design Goes to London hosted in the Swedish Ambassador’s Residence, a beautiful 18th century house. 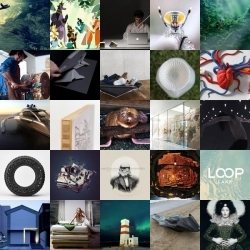 VIDEOEvery year a group of the world’s elite designers & technologists take to the shores of Brighton to meld their minds into FLASH ON THE BEACH. 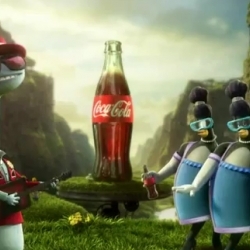 This year director Bradley G Munkowitz made the honors with a spectacular video! 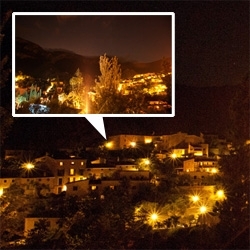 FEATUREDLa Residencia, Mallorca at night ~ a look at the stunning star studded night sky from the patio. Day one of my Orient Express escape amidst this chaotic euro-trip.